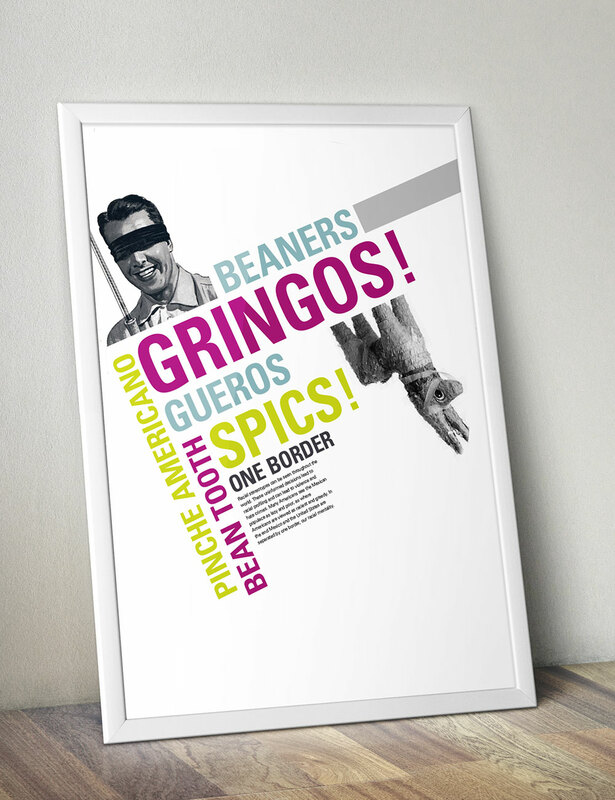 "One Border" looks at the power of language and stereotypes. These stereotypes are shown in our language and help to shape a culture where discrimination and bias are inherent in the way we speak. We could break down walls if we are conscious of the language we use and try to shift the cultural bias to our neighbors we share a border with.